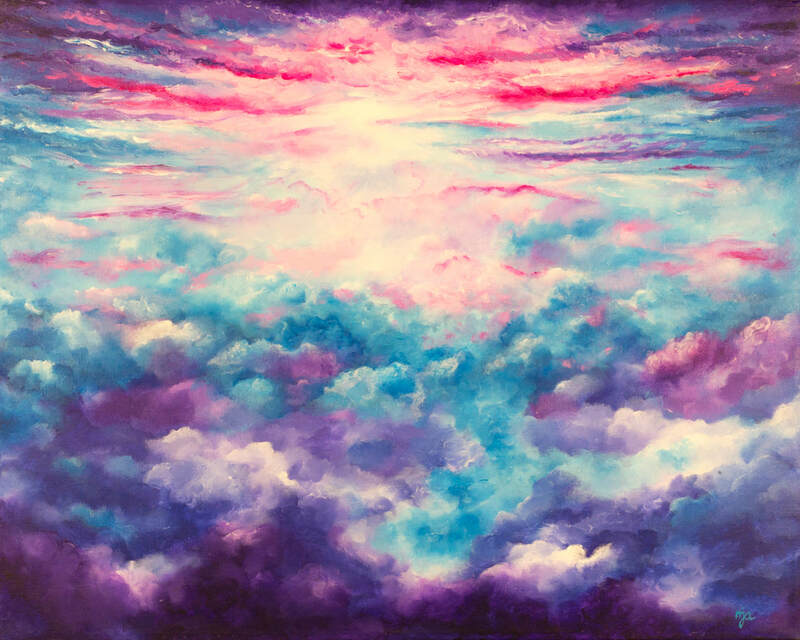 Bring an atmosphere of peace and beauty into your space with an Original Painting or Fine Art print by Marguerite Anglin. 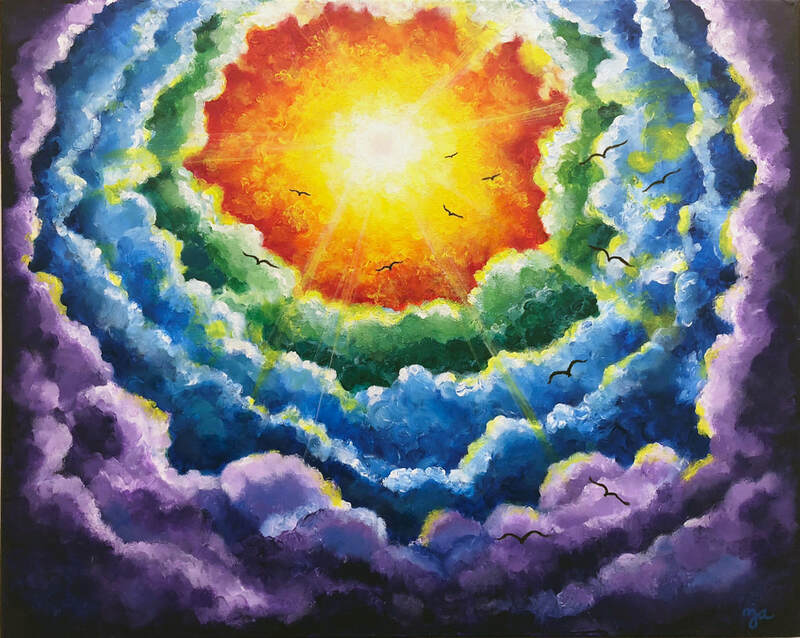 Marguerite Anglin is an acrylic finger-painting artist in Philadelphia PA. As a visual storyteller, she creates "skyscapes" and abstract images that remind us that hope, joy and healing are closer than we may think. Her work is both spiritual and inspired by nature, reflecting the beauty of creation and Creator. Marguerite also has a passion to unlock creativity in others and help people find what inspires them. 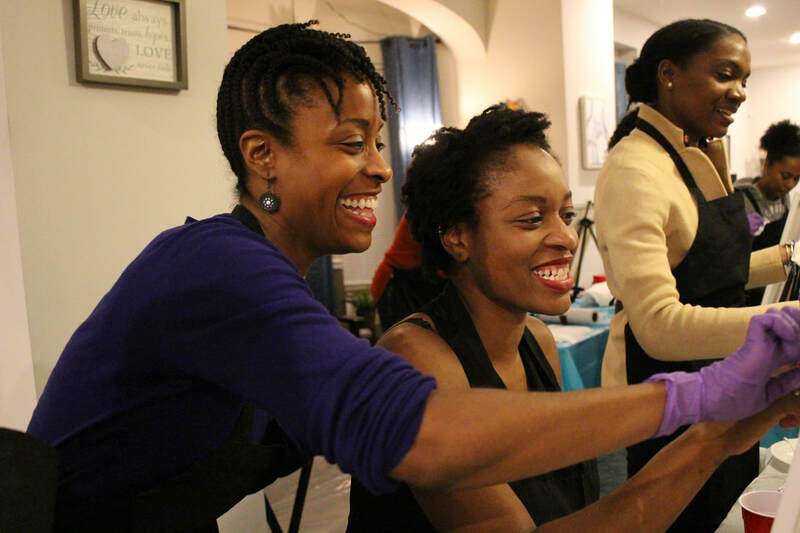 Through her mobile art studio, she hosts workshops, classes and social painting events that encourage participants to return to their first love, Creativity! 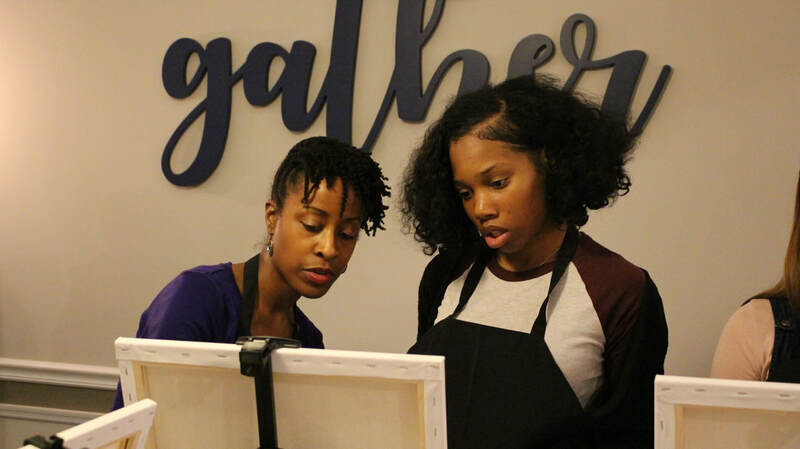 Join an intimate group for an open studio paint workshop, schedule a paint party, or opt for a private fingerpainting session guided by artist, Marguerite Anglin. 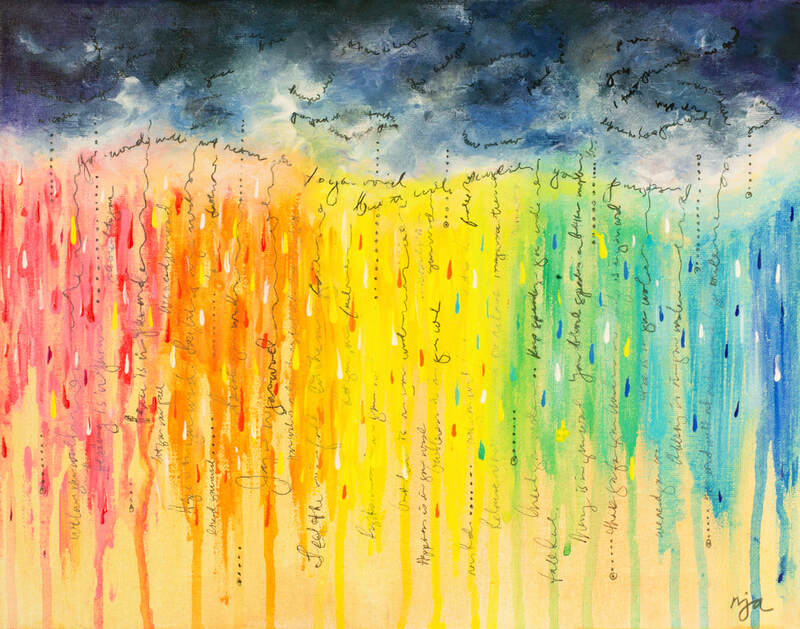 You will create a colorful masterpiece to hang in your home or give as a gift. To add a little twist, we will be painting with our FINGERS. There is no experience required, the goal here is just having fun. Come meet your creative self! 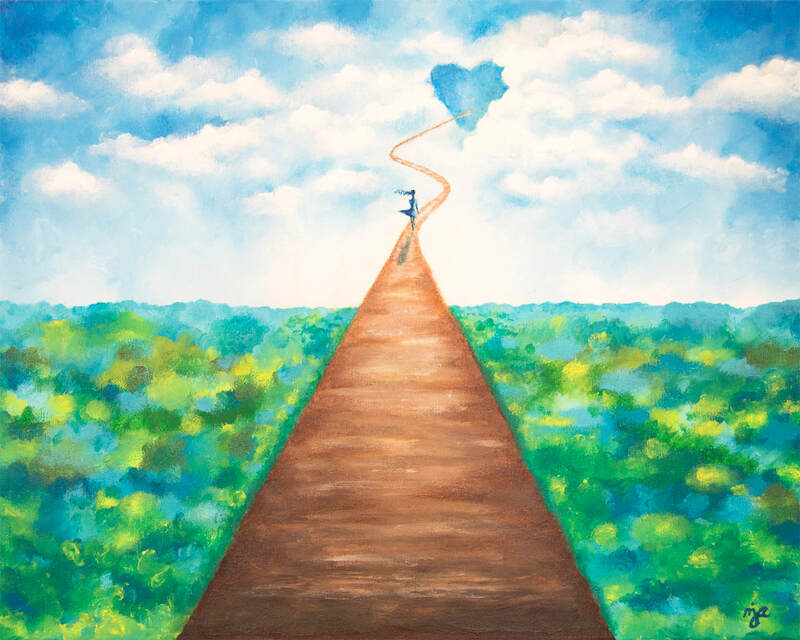 Each participant receives a 16x20 canvas, acrylic paints, gloves, smock, all supplies, and painting instruction. Contact me to schedule a paint party or workshop!